Craig Woolhouse is Head of Flood Incident Management at the Environment Agency. He looks at how flood risk management has progressed since 1953 and how you can keep flood aware. 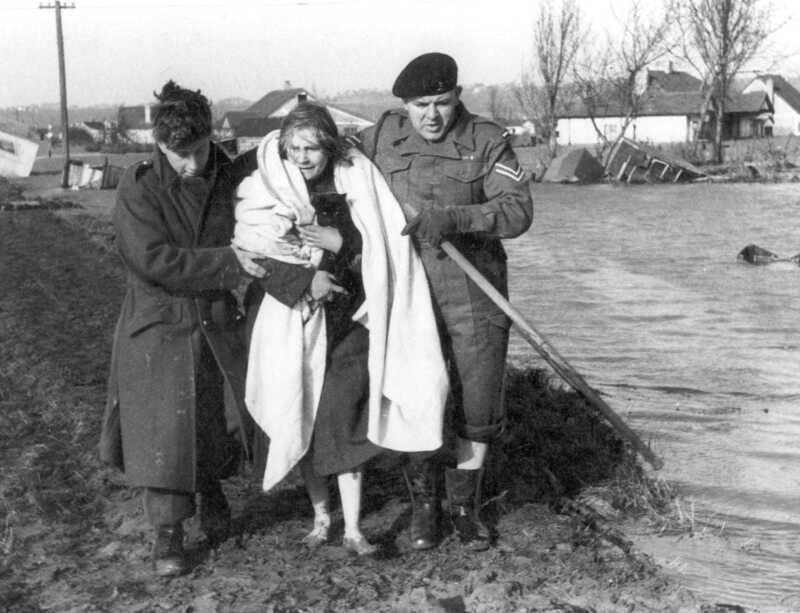 Today marks the 60th anniversary of the 1953 floods where over 300 people died, 24,500 houses were damaged and over 30,000 people were evacuated. Outside the towns and villages, thousands of animals were drowned and great tracts of farmland were made infertile by salt water. This was one of the worst peace time calamities to hit Britain with Winston Churchill declaring it a “National Disaster”. Those affected by the floods would have gone to bed without a flood warning and many of the flood defences today along the east coast, including London’s Thames Barrier, didn’t exist at all. We’re lucky enough to have a lot more tools at our disposal to keep flood aware and safe these days. For example, you can join the 1.2 million people in England and Wales already signed up for free flood warnings. Where there was major loss of life in 1953, major flood defences have been built – for example Canvey Island, Jaywick, Felixstowe, Lincolnshire, Kings Lynn and Great Yarmouth. The Thames Barrier, celebrating its 30th birthday tomorrow as one of the world’s largest moveable defences, was also constructed as a result of the 1953 floods. There have also been massive improvements in long range flood forecasting since 1953 like the joint Environment Agency and Met Office flood forecasting centre which provides 24/7 flood guidance to emergency services and local authorities. We’re much better prepared than in 1953 but we cannot afford to be complacent. Despite the low probability, extreme floods like 1953 could strike at any time and we need to be prepared as a country and as communities for when these happen. Visit the Environment Agency website to see what you can do to stay flood aware. You can find out more about how weather and flood forecasting has improved on our website. This entry was posted in Met Office News and tagged 1953, Environment Agency, flooding, Floods. Bookmark the permalink. We don’t die because of war but we have to face to flood. It causes death of many people in the world.